First of all, we want to thank all of you who have supported us with your prayers, your encouraging emails and your generous gifts. Without you we would not be able to do the work that God has called us to do. Since the beginning of the year we have been going non-stop so it has been hard for us to find the time to communicate. In January we ran another DTS and our 6th EAR’s school with students from the U.S., El Salvador, Mongolia and Costa Rica. They will be graduating May 31st. Our next DTS will be in September so if you know of anyone who is looking for a school, please put them in touch with us. As many of you know, we have been in the process of setting up a Disaster Relief Team for the past three years. This past March we had the privilege of hosting the Rescue Net training which lasted two weeks. It was very intense and six students completed the course and are ready to continue the next phase of their preparation. Our goal is to have a team trained and fully equipped, ready to respond to the next natural disaster, wherever that may be. 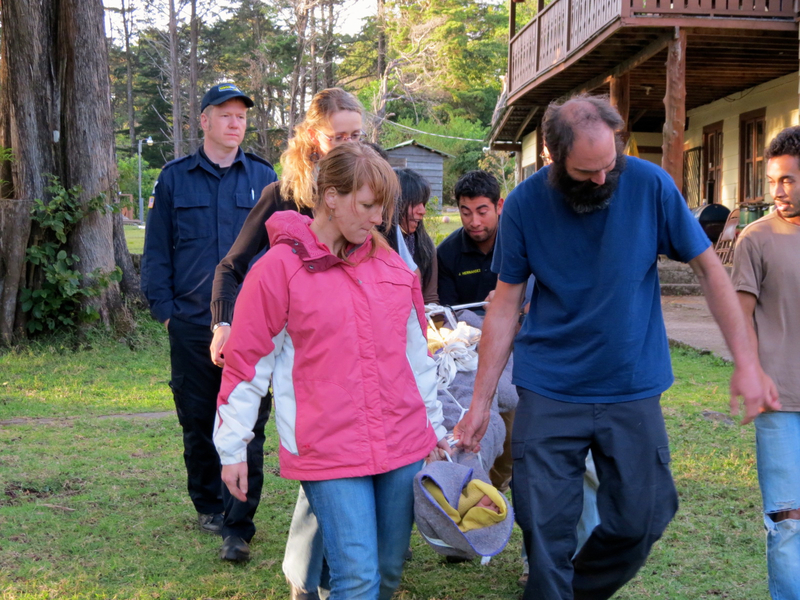 March was a crazy month for us because not only did we have the Rescue Net training going on, but we also hosted two DTS teams from Wyoming and Belize. The Wyoming DTS was a cowboy DTS and they helped us run our Rodeo Bible Camp. 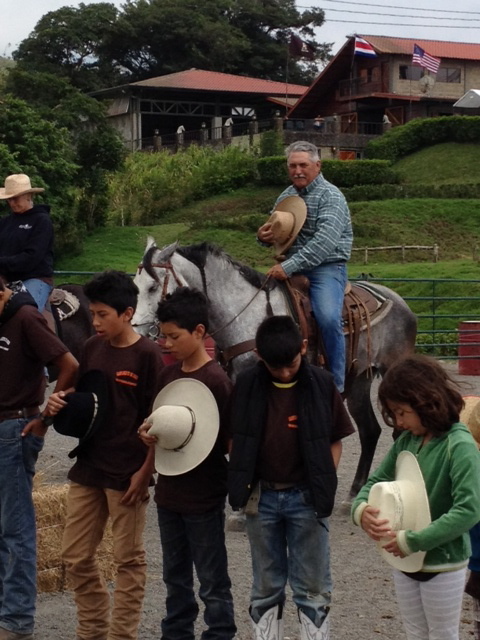 The 4-day camp included bull riding, barrel racing, pole bending, goat tying and roping. Each night we would have dramas and testimonies, and even had times of learning some cowboy line-dancing, which was a lot of fun for everyone. We are hoping to make this a yearly event so please pray that God will send us the people to coordinate this evangelistic effort. We continue to do our local ministries as well, such as Kid’s Club, King’s Kids, Drug Rehab, Bible Study and Bible distribution. Donna and Leo continue to have their women’s club on Tuesdays where they teach quilting and other crafts and build relationships among women and have times of teaching God’s Word as well. Terry just got back from an outreach in Peru where they worked with the churches that his Dad planted years ago in the jungle, (pictured at top). They also distributed solar powered radios preprogramed to the Maranatha radio station, the only Christian programing in the Peruvian Amazon. He even got to visit his hometown where he grew up and reconnect with his old friends there. Some of their meals included monkey stew and fried pig guts. Yummy! In June we are planning to head back to Colorado to see our kids and grandkids. We are also hoping to go to Wyoming to help the Cowboy DTS with their Rodeo Bible Camp, which starts June 10th. In order to travel, we need two things. If you can help us with either one of these needs please let us know as soon as possible since we would have to leave by the 6th of June at the latest. Well, we hope to see some of you when we are in the US, but if we don’t please come and see us in Costa Rica. May God bless you and keep you. How To Pray For Missionaries! Tip toe into blogging ..